This morning post is lifted from yesterdays comments …. The point about contracts is an interesting one as there are quite a few players other than Özil and Sanchez who are in the same position as those 2 (contracts due to run out soon). This is according to research by Arseblog so may not be 100%. I think wether Wenger stays or goes there are some big decisions to be made at Arsenal. If he does go I think it would be interesting to see who’s contracts get renewed. I’m not sure if it’s a positive or a negative that he stays with regards to contract renewals. Whilst Özil has said he would prefer Wenger to stay, there may be some others who think otherwise. There is also the fact that Wenger has an attachment to these players and therefore he may renew contracts of players who a lot of us believe are no longer good enough to represent the club. Sometimes a fresh pair of eyes can see things that maybe the current manager will turn a blind eye to. Having someone new could result in quite a few of these players leaving the club. Either way, it’s a massive window for Arsenal’s future. Arsenal midfielder Santi Cazorla will miss the rest of the season with an ankle injury. Cazorla has been out since limping out of the Champions League group stage game against Ludogorets at the Emirates Stadium in October. He underwent surgery in December and Gunners boss Arsene Wenger hoped the 32-year-old would be back before the end of the season. But Spain international Cazorla is now focusing on being fit for next season. This news from BBC Sports makes me wonder if Arsenal would have been more capable of challenging for trophies if he Santi had not been injured. In my opinion he is the type of player that definitely makes a difference and he has been sorely missed. Our midfield has been one of the keys to our success and without him it has not been nearly as efficient or effective. I also wonder if after close to a year off he will return as the same player who left, we may well have seen the last of Santi at his brilliant best – but I hope I’m wrong. Would we have been able to achieve more with him playing this season? Do you think he will be as effective next season? We all love Santi. Even other clubs fans love the little Spaniard. Plays with a smile, incredibly talented, famously two-footed, a tough tackler for a diminutive chap. He is the player around whom Mr Wenger could and should have built his team – the natural successor to Fabregas. But Mr Wenger couldn’t and didn’t. Instead he signed Xhaka and Elneny, neither of whom has the skill sets of Cazorla. Why? Because as much as Cazorla is a wonderful player, he is fragile and even worse, ageing and fragile. Yesterday we got the news that Cazorla is out for the season having played his last game in October. He managed just 11 games this season and only 21 the season before. Prior to that he was averaging well over 40 games per season. At the ripe old age of 32, things are not going to get better even if Santi devotes the next 5 months to getting fit for next season. Would you give him a new contract? Should AFC pay him a few million to sit in the stands and train a bit? No doubt, Santi brings huge benefits to off-field squad cohesion and well-being. He is universally loved. Furthermore, his influence and instruction to the youth players must be a massive boon for all concerned. But is that enough? We have seen today, with the sacking of Ranieri, that there is no sentiment in football, if you are not performing the exit door awaits. It is not Cazorla’s fault that he is injury-prone but neither is it AFC’s. In my opinion Santi is worth another year or two (we kept Diaby & Arteta) if only for his wonderful spirit, however, from a purely pragmatic point of view, Arsenal are likely to see a diminishing return on their investment into Cazorla. The Metro states that Cazorla signed a new one year contract in December 2016, but this is not confirmed by the club (as far as I can find out). It is not my money and the opportunity to see the Spanish Magician in an Arsenal shirt is an appealing prospect, but if it were my money I may think differently. Arsenal. Europe. Why bother, and if so, how? Let’s be clear, The UK tumbling out of Europe is one thing, The Arsenal tumbling out is an altogether more serious matter, however, it’s not just us. Why? However, English sides were far more successful ten years ago, despite the same difference in games played between ourselves and our European chums. Below I list how English Clubs have fared over the last 10 years, from the last eight, semis and finals of the CL, and there is a remarkable decline. It is not the number of games played by English sides that is the only problem, but I suspect it is how competitive they are that really takes its toll. QUESTION: are we happier to watch more competitive league games on a weekly basis to the detriment of being successful at the top table? MY VIEW: I want my cake and to eat it, so I’d merely say reduce the fixtures as much as possible to give us a better chance, as I think there are only two alternatives: firstly, more elitism amongst Premier League teams, or, just accept it’s tougher for an English side to be successful in the CL. Beating Sutton brings no glory only the opportunity to go further in the FAC. If I had the choice I would prefer to play a PL team at home but such is Lady Luck. Will AW rotate the team or will he keep the scoundrels who let him down in Munich, giving them the chance of redemption. I guess he will rotate where he can. Pretty exciting team, don’t you think? And what of Sutton. In the days of Yore I had two season tickets, one for AFC and the other for Barnet. So, I have seen Sutton and been to Sutton Utd ground. It is/was a shitpit. When I went there would be perhaps 2000 fans but the palace will be packed tonight. Millions watching on TV; will the Sutton players freeze or rise to the occasion? Even if they do, we should win. We should win with our U-19 team but Burnley thought that at home to Lincoln. It is the Magic of the Cup. Sutton play in the Vanarama National League. What the hell is that. Couldn’t they find a better named sponsor? What next … The Poundland Southern League? A Cup run is exciting and our main hope of Glory this season. A win is a must. Not exactly crazy money. Massive transfers still get the headlines in football, but there are thousands of transfers that happen every season that are value for money. Leicester were a prime example of this last season. Four midfielders that we already own who have massive potential to be as good as any other midfielders out there IF they are managed in the right way and put into systems that suit how they play. It’s not pipe dreams – we’ve watched these players control football matches and put in stunning performances against top class opposition before, they just need to re-find that form and build partnerships. If we can add the right players around them then there is no need for crazy transfer fees. This is obviously a massively difficult task, but world class players emerge from all different places. Maybe we’ve already got some in our squad that just need a little spark. I would tend to agree with FGG’s and Micky’s sentiments. Whether they are directly saying it or not I read their comments in a way that resonates with a particular conclusion that I have reached, which I have personally felt for a while, that Arsene is no longer the best at developing young talent. I have tried not to say this upfront and so blatantly for fear of upsetting, but there it is in plain writing. I say this still with the deepest regard and gratitude towards him, and I have absolutely no doubt that everything he does he genuinely believes to be in the clubs best interest, which is why I find it sad for him that he doesn’t have the right answers or methods anymore (IMO). He once arguably was the best developer of players, but too many have lost their way recently to ignore it. Have other managers and coaches just caught up and surpassed him or has he changed himself? I actually feel a bit of both and don’t subscribe to the thought he is the same man he was. If I was to psychologically profile things, (based on gut instinct not facts or proof), then I would say that Arsene was forced into a change when we moved to the new stadium and money was scarce, and he was forced to develop world class players himself. This is a great credit to him to stick with us and oversee this and to take this difficult but necessary (at that time) route, and I don’t see how anyone else could have done better. He was without doubt the right, and only, man for us at this time, probably till about 3-4 seasons back. All this resulted in the classic line “we make our own world class players, we don’t buy them”. This was, however, as much about necessity as it was about taking a moral higher ground. At the same time I feel Arsene, in having to develop his own players and team, decided to try for a utopian style of football with multi position changing technical players, that can all function in the different positions that they interchange with their team-mates in during a game. As such I feel he started to collect and recruit a certain style of player almost in a thought of “if I have 10 Maradona’s on the pitch we will beat anyone and everyone”. This has shown us glimpses of great football but is often found wanting over a season once you factor in the different types of opposition, injuries, fatigue, weather and pitches. I often wonder if this utopian ethos has worked deeper into his mind and became too much of a holy grail to Arsene. The problem is that for me it is a utopian idea that doesn’t work, is showing not to work, and that he couldn’t quite seem to relinquish and accept isn’t working. I also have a sneaky feeling that this is why we aren’t seeing more Arsenal people at the club. I think he gets on very well with a lot of his ex greats but isn’t comfortable with any of them that are strong minded enough to see things differently from him and tell him. I feel he doesn’t want those people around him and really only wants ones that don’t challenge his ideas. This I feel has been to our detriment. I tend to feel that what has hindered him most is this collection of too many similar players, coupled with this attempted development of multi functioning players in a utopian style of football. I personally feel players developing different skill sets in different positions (in a Dutch total football way) is for the academy and youth ranks, but once they reach a certain age and level where 1st team consideration is forthcoming, a player (and manager) needs to identify his best role, and then the final development phase is to make them a world class exponent in it. One thing that hasn’t escaped me is how many players we have that have played in many different positions. Think of Ramsey, Ox and Jack for starters and think of the different positions they have been asked to play in. At least 3 in my mind and possibly 4 in Jack’s case. While it is useful to have some adaptable players in a squad, this for me cannot be helpful to the final development of these players and has resulted in some chaotic performance that don’t really tally with the quality of the 11 players on paper. I actually don’t feel that the base line skill set and quality that Bayern put out was so distinctly different to us but they were a much better football side. This is why I have felt that what has stopped us from progressing (and possibly winning another EPL under Wenger) recently has been more down to these intrinsic factors. Our transfer activity (or lack thereof) has not been the key factor. It has obviously been a factor in a way, but for me only in the further collection of too many similar players that don’t bring a distinctly different skill set to the squad above what we have already, where better options to improve squad strength and bring something we need more were available. I haven’t really seen any glimpses of a possible acceptance and change from our manager which is why I have sadly slowly come to the conclusion that he is just not quite what is required anymore at the highest level. 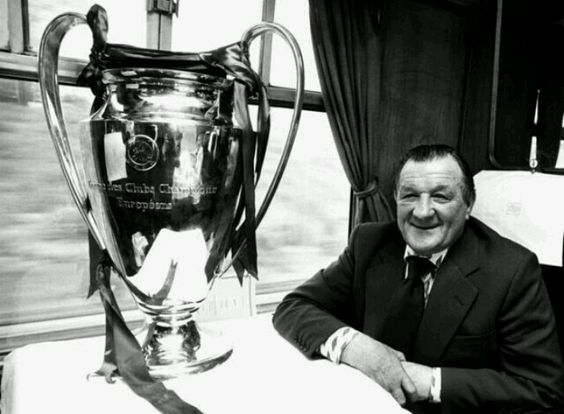 He still remains, and will remain, our greatest ever manager. Arsenal to Park The Bus? I should be excited as we go to play one of the very best teams in one of the best stadiums in the world, I’m not. Is this CL fatigue, Arsenal fatigue, same old same old or something deeper – perhaps a winter depression? Who knows, all I know is that I’m not as passionate about tonight as I should be. Last night didn’t help; to see the best team of my lifetime, Barca, humbled by a team we drew with twice (luckily!!) was a sign not just of the inevitable atrophy of life but also the end of another era, and I have only a few more eras left! A depressing thought. Let’s be honest, the vast majority of us hope only that Arsenal can fight hard and return with the second leg being competitive. If we score then that must be possible and score we can. Bayern Munich are not unbeatable and if we had a fully functioning first 11 in good form I would expect us to win. Instead we have to be pragmatic and this is where Micky’s BM line up will come to the fore. Coquelin is not good enough or strong enough to combat BM’s midfield, he will need help, a lot of it. We have beaten City and BD playing conservative tactics, rope-a-dope works sometimes (thankfully not often). Will Mr Wenger PTB? Doubtful. Of course AW will not play the above, he will start Theo ahead of Danny and almost certainly Iwobi ahead of Elneny, but we can hope. Much has been written about Ozil, little of it good, but we all know that if there was a combined AFC/BM team only 2 or 3 of our lads would start and Ozil is one of them. He is German Player of the Year and has been for 5 of the last 6 years. He is not a bottler, he is just a man out of form and we all know, form is temporary, class is permanent. Arjen Robben may start tonight; what an objectionable cheating arse he is, for a man who has as much talent as any footballer on the planet, why does he have to be so objectionable? Hope he gets Xhaka’ed early.. Thinking of which, if he starts this is a huge game for Xhaka. Get sent off tonight and his Arsenal career is deeply in doubt, we cannot play top teams with 10 men. Has he learned his lesson? Can he be as effective without a bit of spite? Vieira learned it and became a legend. This could be Mr Wenger’s last CL campaign, he deserves a signature victory and tonight would certainly be one. Can we win? Why not. Arsenal. Mesut. The No10 role. Messi is quite good, bit like Mesut, and he plays to the right of Neymar and Suarez. Much chit chat these days about Mesut, and as always, much talk about formations. I believe he plays wide for Germany, and I’m also beginning to think The No10 role is a thing of the past. Couple of days ago I posted a line up for Bayern away in which I beefed up the midfield with Xhaka and Elneny in front of Coquelin. Along the front I had Sanchez, Danny and Mesut. Chas thought it was a bit Maureen’ish, whereas I was trying to be a bit more Barcelona’ish. Relevant bit for today is the binning of the No 10, while keeping Mesut in the XI. As a No10 behind a front three, I’d expect him to be the 4th highest scorer. He is. I’d also expect him to do important passes, or assists, he does (2nd). Could he play wide right? Yip, I reckon so. He is fast, both over ground and like lightning between the ears. Intelligence as a footballer is what DB10 had in abundance, and one of the qualities that makes Mesut so like the great man. Mesut to the right? What do you think? You are currently browsing the blog archives for February, 2017.